Amanda Hammett - Millennial Translator - Innolect, Inc. | Innolect, Inc.
Amanda Hammett was hired out of college as one of the youngest Technical Recruiters for IBM. After leaving IBM, she launched two separate multi-million dollar companies, prior to her 26th birthday. Amanda led these companies to a large client base across 85 of the world’s 196 countries. By relying on her experiences as an entrepreneur and employer, she has a keen sense of the disconnects that the millennial generation is facing when entering the workforce as well as the difficulties corporate America faces in recruiting and retaining the best talent. 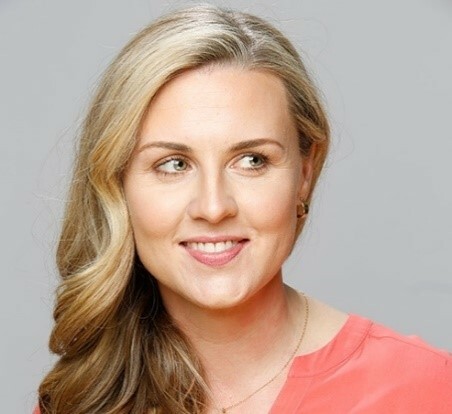 Over the past 5 years, Amanda has delivered over 800 keynote speeches to well over 100,000 millennials (over 500 schools and organizations in more than 25 states) to the very audience corporate America is struggling to connect with and motivate. Amanda was given the nickname of the “Millennial Translator” by a group of college students after one of her many college speaking engagements. These days, she’s putting that name to good use preparing millennials inside companies to achieve greater impact and success. At the same time, she helps company leaders engage top millennial talent in ways that maximize their creativity and contributions. For over 15 years, Amanda has proven that she not only knows and understands corporate America, but she also knows and understands the millennials themselves. As a consultant with Innolect, Amanda partners with corporate internal resources to develop strategies to attract, engage, develop and retain millennial talent as the next generation of leaders. Because of Amanda’s ability to grasp and articulate the millennial’s state of mind, she helps reverse the devastating effects of low company morale, productivity and ultimately, gains positive momentum and adds to the bottom-line by more effectively engaging employees to work together across generational lines. Her co-authored book, The Millennial-Manager Bridge: Millennial Engagement, Development and Retention, will be published in 2017. Amanda continues to work with college and university groups to prepare and develop their leadership skills as they transition into corporate America. She understands how incredibly important it is to prepare millennials BEFORE they reach the workforce to accelerate their integration. Amanda currently serves as the Corporate Board President of the Hugh O’Brian Youth Leadership (aka HOBY) Foundation of Georgia where she leads a team of passionate volunteers to inspire and develop our global community of youth and volunteers to a life dedicated to leadership, service and innovation. Amanda is a graduate of Agnes Scott College in Decatur, GA.